Today, August 20th, is my 27th birthday! I am actually traveling across country today for work, but that doesn’t mean I’m not going to have an AWESOME birthday. Why you ask? Well today I am hosting a HUGE giveaway for my readers! I have always been more concerned about putting together the perfect swag bag for my party guests than what I am going to get as a gift, so in true Ashley fashion, (and thanks to some awesome Birthday Swag Bag sponsors) I am giving away possibly the greatest birthday swag bag ever to one lucky reader! These goodies value over $300! And for your gift to me, all you have to do is enter the Rafflecopter drawing below (and maybe become a follower too?). Niki from Gumdrops and Gloss is giving away a $25 gift card to Sephora. (Reason enough to enter right there, but oh my friends there is much more! Erin from Living in Yellow (don’t you just love her?) is giving away a medium ad space on her blog! 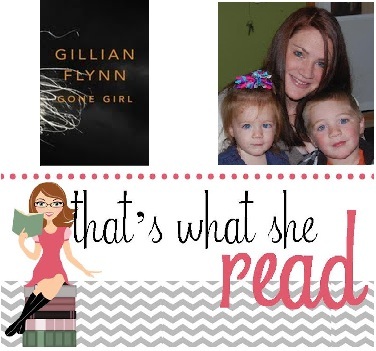 Jen from That’s What She Read is giving away Gone Girl- Check out her blog. She is newer to the blogging scene, but super great! Super. Tammy of Lemons Avocados & The Bay is hooking someone up with a small ad! Jenn from Party of One is giving a $15 gift card to H&M! 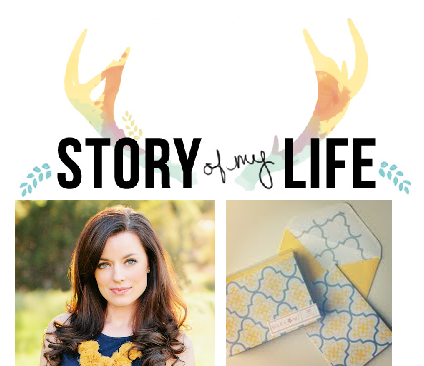 Melissa from The Life Of A Not So Ordinary Wife is giving away a $10 credit to her Not So Ordinary Shop! Check it out, cute stuff! Neely, one of my absolute favorites from A Complete Waste Of Makeup is giving away a $25 gift card to Starbucks AND a medium ad space! She’s one of your favorites too now huh? With all these ads you’ll have, you’ll need a button design! Janna, from Perception is Everything is going to design a button for you! Molly from That Certain Je Ne Sais Quoi is giving away some of her favorite things, including nail polishes, Burt’s Bees products and some delicious almonds. Have you met Mary from A Happy Wife In New Orleans? She is giving away an ad space on her blog. Laura from Under the Suburban Sun is giving away a Seche Base and Top coat polish. Jealous! Plus I am giving away a surprise prize pack of my favorite things valued at $55!!!! Okay so you totally have to enter like a million times! Good luck and thanks for helping me celebrate my birthday! Have a wonderful birthday Ashley! I hope you have a fun day! Ad space would be cool…I've never sponsored a blog before (I don't even have a button! ), so that would be different. Awe Happy Birthday! Hope it is wonderful : ) and you rocck for the giveaway! Happy birthday Ashley!!!!! I'm so happy for the opportunity to participate in your awesome giveaway!! Hope the flight and job aren't too bad for you. Sending birthday wishes your way! happy birthday! i'd most like to win the sephora gift card. Happy, happy birthday! I remember 27 being one of my favorite years ever! Hope you have an awesome year! I'm most excited about winning the Seche Base and Top coat polish- my all-time favorites! I would LOVE to win the ad space on Erins blog! What a fabulous giveaway! So excited for this one! Happy Birthday Ashley!! I feel so privledged that I'm apart of this giveaway!!! Scentsy warmers are the best!!! Happy birthday Ashley! Awesome giveaway! what a great birthday, lol it is my mom's birthday to! Hope that yours is fabulous! Happy Birthday lady! Thanks for doing this! Happy Birthday! What a really generous thing to do! Hope you have a blast! Happy happy birthday! 🙂 I'd totally love to win somebody's favorite things, but these all sounds like awesome prizes!! So happy to participate in this awesome giveaway! I can barely narrow it down but probably the $25 to Sephora or Gone Girl because I have been wanting to read that! Happy birthday! Happy Birthday!!! I hope you have the best day ever!! I'd love to win the surprise gift from you, or one of the gift cards. I'm also your most recently follow 🙂 I'd love for you to check out my blog and if you like it, follow? Hope your birthday was more than amazing! Happy birthday ! Amazing giveaway! and those note cards are too cute! Wow, how in the world did you get all these awesome bloggers to help with your giveaway?! Advice please! New follower from over at Nugget On A Budget. Come stop by! Happy Birthday! May you be blessed today and thoughout the coming year! happy birthday!! and an AMAZING giveaway!! Happy Birthday and Happy Giveaway! I entered in a bunch of ways today – just in time! Found you via the GFC Hop. There is no way I could pick what I like best. This is such an amazing giveaway! So bummed I missed this! next time!!!! 🙂 happy to be following you from the hop!! !